2477 Mount Newton Cross Rd. Welcome to the Victoria Airport Super 8 Motel. 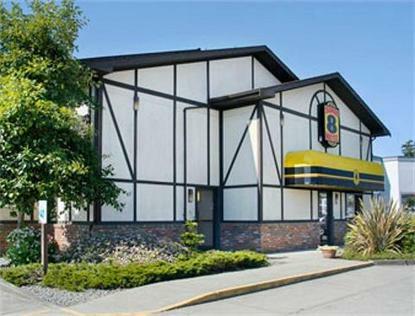 Our motel is walking distance to ocean, famous Galloping Goose Trail& Saanich Historical Artifacts Society.The motel is your home away from home for all travel needs. Just a short drive from the world famous Butchart Gardens, Sidney by the Sea, lovely Downtown Victoria and the Victoria International airport. Central location to most attractions on south end Vancouver Island. The Super 8 Victoria is located in quiet residential area. Tudor style, the lobby has a cozy seating area for relaxing. Front desk open 24hrs. All rooms offer free wireless high speed internet, in room coffee, and hair dryers. In the morning we offer a Super Start breakfast. See you along the way.